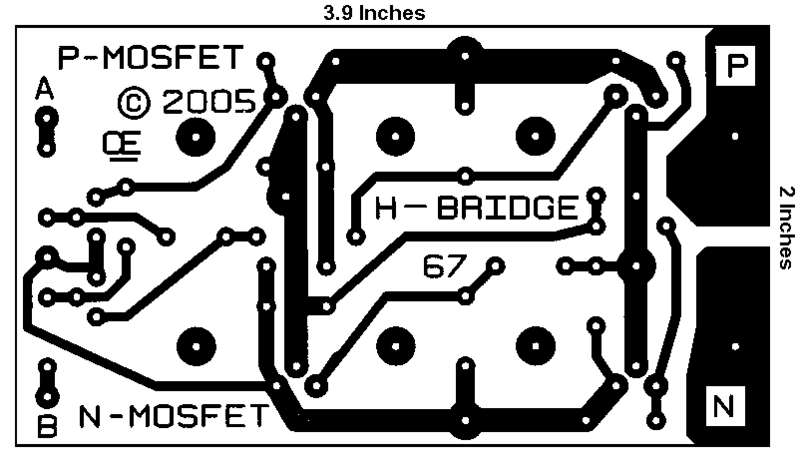 This is a Functional Circuit for a H-Bridge. I have added Protection against having Both inputs High. In All the Circuits I have seen, This Causes the Circuit to Draw Very High Currents. Essentially a "Total Short Circuit on the DC Supply". 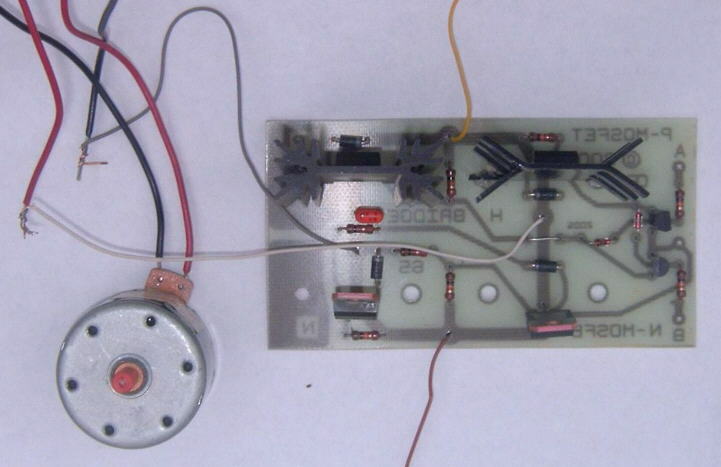 Click here for the "Schematic"
Note: CX is not mounted on the PCB. Click here for the "PCB"
Due to Space Limitations, I decide not to put "CX" Filter Capacitor on the board. However an Axial type capacitor could be placed across on the Copper side, if Necessary. In this Picture I show 2 Different Possible Heatsink on two Mosfets and 2 Mosfets Without Heatsinks. What you need for the power you want is your Choice.